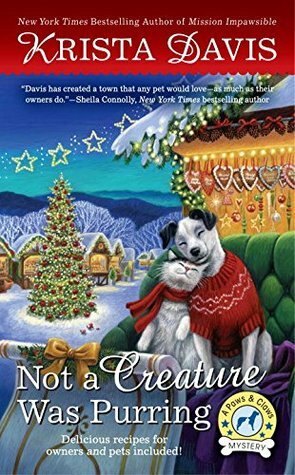 Inn owner Holly Miller finds it ruff staying cheerful over the holidays when the dead body of a beloved businessman turns up iln the pet-friendly town of Wagtail, Virginia. I am a huge fan of Cozy Mysteries, I absolutely love to read them! I will admit that I have not read any of the other Paws and Claws Mystery books but I definitely will now! I wanted to read a Christmas book so bad this year, probably because I have not been in the holiday spirit (I'm pretty much a Grinch!). So when I decided to request this book it was with the sole purpose of just reading a book with Christmas elements. It was an added bonus that it was a cozy mystery and with cats and dogs to boot! I really like that even though I have not read the other 4 mysteries I did not feel lost or confused on who the other characters were. I did not feel like I was reading the fifth book is a series (is that a bad thing?) but it also was not bogged down by character explanation. I also liked and also disliked the fact that the murder happened toward the middle of the book and sort of took a backseat to the story of the characters. I liked it because it gave me a chance to actually learn the victim and what kind of person he was, it made me sympathize and want to learn who the killer was. I disliked it because this is supposed to be a mystery and well it was missing some of those mystery elements that I felt it needed. Holly, Trixie, and Twinkletoes are loveable characters that made me wish my animals were as well behaved as them. Holly was not overbearing (just a little too nice for me, but the heroines are always too nice for me) and the side characters did not make me want to strangle them. They had the right amount of nosiness and didn't meddle as much as other side characters usually do, which can annoy me. The story itself was great and easy to read, definitely would recommend for an in-between epic or dramatic reads. While the story was a bit predictable I will say that the murderer actually didn't turn out to be who I thought, which I loved. She really does have a gregarious Ocicat named Mochie who can open cabinets and leap to amazing heights. 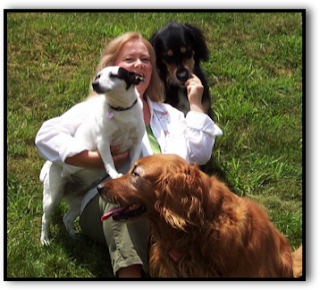 Her dogs, including a Golden Retriever who isn’t golden and won’t retrieve, consider Krista’s writing career a convenient second job that allows her to be available for her primary job as a door opener, canine cuisine chef, and walking assistant. Krista’s fascination with mysteries was fueled by Nancy Drew, The Hardy Boys, and Agatha Christie. Like her protagonist, Sophie Winston, Krista loves to entertain friends and family, but would just as soon leave the cleaning to someone else.